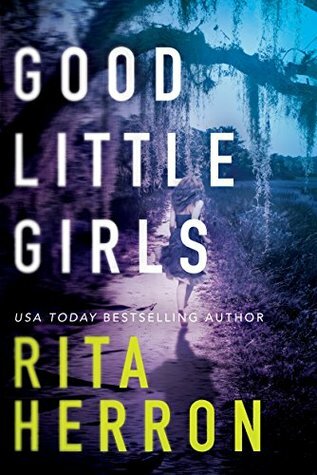 Good Little Girls by Rita Herron is the second novel in the romantic suspense The Keepers series. This series is a little different than most in the fact that the story has carried over from the first book but yet the main characters have changed. Ideally the series is best enjoyed starting from the beginning to get the ongoing story. Tinsley Jensen was one of the victims of the serial killer known as the Skull and she was the only surviving hostage. Rescued by FBI agent Wyatt Camden Tinsley has still been living in fear that the Skull is going to return to finish what he started and she spends all her time locked in her cottage on Seahawk Island. One night Tinsley is alone at her cottage when she thinks she sees someone outside and begins to have a panic attack. The more Tinsley tries to convince herself she is strong and can fight back the worse the attack becomes so she calls Wyatt for help. When evidence shows up nearby looking as if the killer is back Wyatt vows that this time he will protect Tinsley and keep her safe while catching the killer. This second installment of The Keepers series felt even more intense than the first. The story not only includes chasing the killer in question but there is vigilante justice going on with a group known as the Keepers so there’s always some action. And the fact that I bonded better with Tinsley and Wyatt than I had with the previous leads probably helped my enjoyment more. It was horrific hearing what Tinsley had gone through so I immediately felt for her and wanted her protected. The ending left room for the series to continue and I’ll definitely look for book three. USA Today bestselling author Rita Herron fell in love with books at the ripe old age of eight, when she read her first Trixie Belden mystery. Twenty years ago, she traded her job as a kindergarten teacher for one as a writer, and she now has more than ninety romance novels to her credit. She loves penning dark romantic suspense tales, especially those set in small Southern towns. 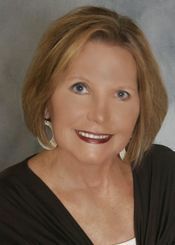 Her awards include a Career Achievement Award from RT Book Reviews for her work in series romantic suspense, the National Readers’ Choice Award, and a RITA nomination. She has received rave reviews for the Slaughter Creek novels (Dying to Tell, Her Dying Breath, Worth Dying For, and Dying for Love), her Graveyard Falls novels (All the Beautiful Brides, All the Pretty Faces, and All the Dead Girls), and for Pretty Little Killers, the first book in The Keepers series. Rita is a native of Atlanta, Georgia, and a proud mother and grandmother. I haven’t but it’s on my tbr. That is different to have a story continue with different characters, but it seems to have worked for you. Great review.